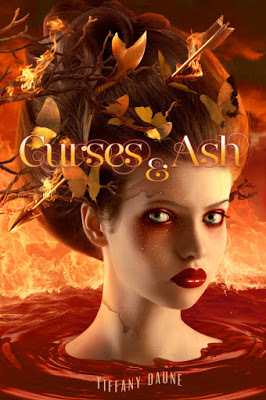 Welcome to Tiffany Daune, author of Curses & Ash! Can you tell me a little bit about your series and what inspired it? I've always been partial to fins. 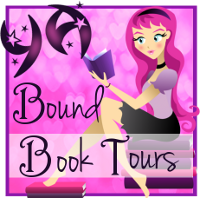 I love mermaids, but I wanted to explore magic as well and see what would happen if I blended in shape shifters and sirens. I like to think magic is all around us, so I wanted Coral & Bone to feel real, yet still take the reader on a journey. I like urban fantasy for this reason; it makes the impossible possible. The Etlins in the Coral & Bone series are shifters. If you could be a shifter what animal would you want to be and why? Definitely a raven because they are wickedly smart and eerie. When did you know that you wanted to write professionally and how did you take the leap to get into the business? I started writing with the intent of publishing seven years ago. 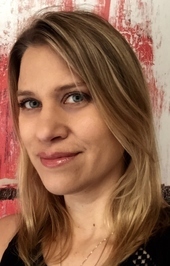 I faced a lot of rejection letters, but I kept submitting and writing, until I received my first contract for Surface and the sequel Landlocked. Unfortunately, my publisher closed, and I had to start over. So, instead of resubmitting Surface, I wrote Coral & Bone and decided to self-publish. Your first book SURFACE was published with a traditional publisher and CORAL & BONE was self-published, did you enjoy self-publishing and would you do it again? There are pros and cons to both methods. Some writers are choosing a blended method and I think that's a great way to go. I loved every bit of the process, but you need a good team behind you. I was fortunate to have a great team of women working on Coral & Bone and Curses & Ash. I was blessed to have Mary Harris as an editor, the very talented Nathalia Suellen created the cover and Tamara Cribley designed the interior. With this team, I would definitely do it again. What book is currently on your nightstand? And who are some of your favorite authors? I have five on my nightstand right now. I'm currently lost in the pages of The Girl with All the Gifts by M.R. Carey. I'm also reading some great works on Wattpad. I could never pick just one, but I a few of my faves are Alyson Noel, Tehereh Mafi, Holly Black, Casandra Clare, John Green, Jennifer Armentrout and Kendare Blake. 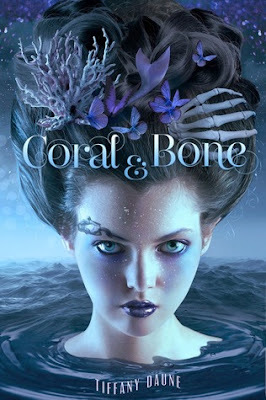 I'm currently writing book three of the Coral & Bone series and working on an outline for an exciting new series. Keep an eye on my Instagram account where I'll be posting a sneak peek very soon. You know when someone reads you a story as a child and it sticks with you forever? Hans Christian Andersen's The Little Mermaid was that story for me. I love the original and I adore the Disney version. But, it wasn't until I watched Pirates of the Caribbean on Stranger Tides did I find my mermaid muse for Coral & Bone. If you could meet one of your characters in real life, who would it be and why? Halen. Then I could apologize for all the crap I put her through. I'm not done with her yet, so she may need a big hug. I loved so many books as a child, it’s hard to pick one. My top three would have to be The Lion the Witch and the Wardrobe, Charlie and the Chocolate Factory and Are you there God It’s Me Margaret. As a teen, I devoured anything by Stephen King, John Saul & Anne Rice. What’s your favorite writing food? Dark chocolate chips, but if it’s near Easter I can’t resist Cadbury Easter Crème Eggs. Chocolate is food--right? A demented twin sister, a demon hijacking her powers, and a mysterious journal filled with more questions than answers—Halen needs her Guardian Dax more than ever. But if she confides in Dax, she fears he will never forgive her, not after all he sacrificed to help her vanquish Asair.Halen drowned Asair in a tornado of wings—at least, she thought she killed him. Why then does his mocking voice snake through her thoughts, enticing her to surrender her power? Maybe she screwed up—big time—but she will never allow Asair to control her magick. And when Etils' fires threaten the Earth, suspicions surrounding Asair's death rise, igniting restlessness within the realms. Her life in balance, Halen must race time, purge the demon's soul before flames consume the Earth or the Tari strike first. I write stories about magick, love and dark creatures lurking in the shadows. When I'm not lost in Editland you can find me reading a book from my towering TBR pile or at the movie theater nibbling licorice. I don't have a lucky number, but my favorite time is 11:11. I completely believe that the fortunes found inside cookies will come true and that you must be careful when wishing on stars. I live on an island, so if you want to visit you'll need a boat, and if you want to survive the passage, be sure to bring candy for the mermaids. Great interview and I couldn't help but smile as I read it. I read Coral & Bones and am a mermaid lover. Yes, I think you should apologize to Halen. LOL I love those Cadbury eggs toos.